PSAI Welcomes Evgeny Komko to the Ranks of Instructor Trainer! the Ranks of Instructor Trainer! Evgeny from Kiev, Ukraine is chief diver and instructor on the luxury Survey and Salvage vessel NIKOLAEV based out of Sevastopol. At end of August, staff from PSAI United Kingdom Office visited Evgeny to carry out an Instructor Trainer workshop and also indulge in some closed circuit trimix dives on the local wreck sites. 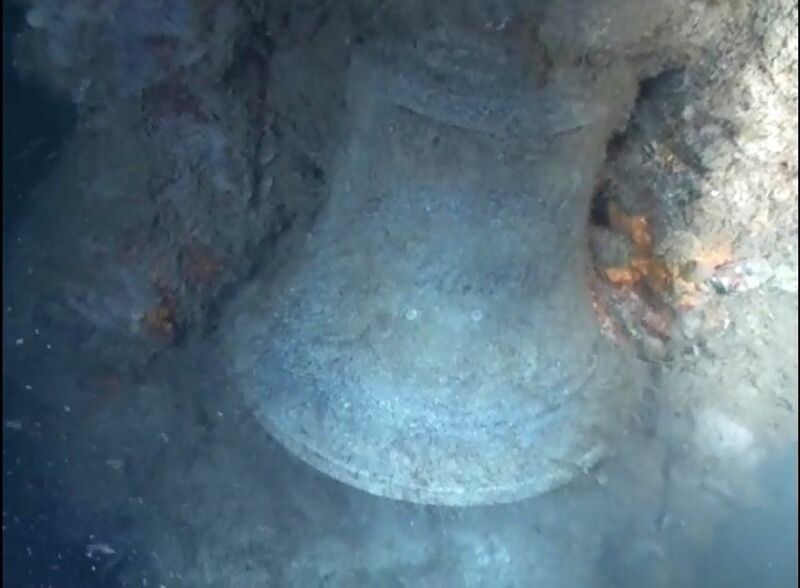 In the UK it’s pretty rare to dive a known wreck and still find the ship’s bell still in situ, but in Ukraine this is often the case. The first two boats we dived, the British sailing barque Agnies Blakie and a ww2 Russian oil tanker both had large and ornate bells sitting in their bows, which is kind of refreshing really, plus I didn’t have any tools or big enough lift bag with me Not that we had time for such distractions, the 6 days of diving were taken with the IT Evaluation and organising the team of six CCR divers on board to visit some of the deep wrecks that pepper the Crimean coast. The vessel Nikolaev, is equipped with continuous Trimix blending capabilities through its Bauer Mariner’s working away in the engine room. A giant, electric Oxygen booster and multi-place automated filling station did make filling the cylinders each day and running Evgeny’s Blender Instructor training a breath of specially filtered fresh air. The boat truly has some impressive diving toys aboard. The inventory included Six AP re-breathers, a Megalodon re-breather and a JJ re-breather plus a Pelagian CCR temporarily on loan, together with a collection of scooters from Magnum (costing €78,000 each!) all neatly stored in the aft locker, alongside the state of the art Remotely Operated Vehicle (ROV) and multi beam Side Scan Sonar. Evgeny is well equipped to offer Search and Recovery Specialities with a truly cutting edge to his new PSAI Open Water Instructor candidates. 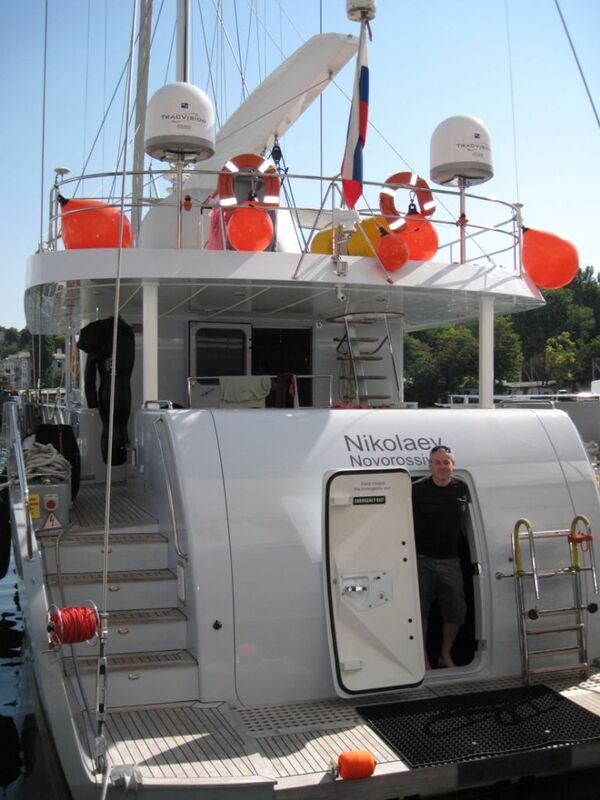 Evgeny plans to offer a wide range of PSAI courses from the boat, focussing mainly on open and closed circuit trimix. He is no stranger to deeper dives having met us 6-7 years earlier in Lebanon where they located the bell from HMS Victoria in 150metres depth. Shortly before completing the deepest pogo-stick dive (152m, Dahab, and another story ) and other CCR excursions as deep as 193m – you can be sure Evgeny’s technical presentations are built on sound foundations. 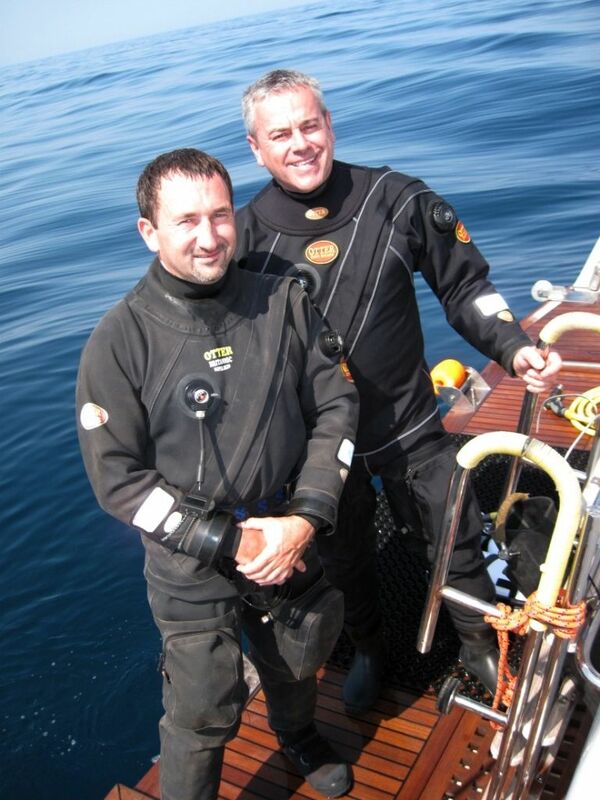 In 2014 he plans to offer several technical training & dive trips offering attendees the best of the deep wrecks across the Black Sea area and instructor workshops for those wishing to upgrade or cross-over to PSAI. Sea temperatures get as high as 27C in summer and visibility at depth typically stunning, so these trips are likely to fill up fast. With the boat conducting seabed surveys for various oil & gas projects almost every day of the year, who knows what new shipwrecks will be discovered. The multi-beam is always on! Evgenys’s website is www.Tekforce.com.ua or E-mail him for course information at ekomko@gmail.com. The website’s English content is currently being updated to include the new PSAI content.